Improving tribal economies and Native communities, one youth at a time! We're always up to something new and exciting in the communities we serve! Our office has moved to downtown Denver, contact us with questions, comments, and more! Spirit of the Sun, Inc. is an incorporated 501(c)(3) nonprofit in the state of Colorado. For over a decade, we have partnered with Native American communities across the nation to develop new opportunities for tribes and Native American individuals. Spirit of the Sun is founded on the belief that effective and sustainable development work recognizes the intersections of culture, community, economy, and health, and that true success is only possible through collaboration. We maintain open and ongoing dialogues with all of our partners to ensure that every project or initiative reflects the unique needs and goals of the Native communities we serve. From its beginning in 2002 through 2010, Spirit of the Sun focused its efforts on coordinating economic development plans with four different tribal nations: the Confederated Tribes of the Colville Reservation, Northern Arapaho, Spokane, and Standing Rock Sioux. In 2009, Spirit of the Sun began a partnership with the Corporation for National and Community Service (CNCS) to operate the Native American Community Development Program, which places AmeriCorps VISTA volunteers with Native tribes and organizations in order to build their capacity to fight poverty. This program spans a dozen U.S. states and territories, from Colorado to Guam, and continues to grow every year. 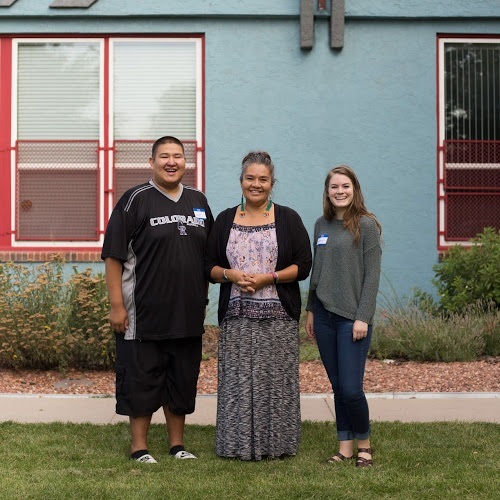 Locally, Spirit of the Sun is always searching for new ways to meet the needs of urban Native people in the greater Denver area. For the past three years, we have conducted financial literacy workshops designed specifically for the local Native community. Spirit of the Sun staff and VISTAs also provided leadership and collected and analyzed data for the Colorado American Indian and Alaska Native Economic Impact Report published in July 2015. As Spirit of the Sun moves into this period of strategic development and growth, we will continue to design new and improve existing programming, with the long-term goal of expanding our most successful programs to other Native communities in both urban and reservation locations. Such expansions will be made possible through the strong relationships we have built over the years with our many VISTA partner sites. Spirit of the Sun’s mission is to work in partnership with Native American communities in urban areas and on reservations to boost the resilience of Native people, especially youth and young adults. Our vision is that the Native youth of today become the next generation of Native leaders, entrepreneurs, and skilled professionals who will help guide their communities toward wellness, prosperity, and cultural revitalization. Providing employment preparation and career development for Native youth and young adults through entrepreneurial and leadership trainings, mentorship programs, and practical skill-building workshops. Promoting health and wellness for Native youth and young adults through improved access to and knowledge of food that is traditional, nutritious, and sustainably grown and harvested. Facilitating the reduction of risk taking and self-harming behaviors among Native youth and young adults by addressing the root causes of substance abuse, suicide, and other behavioral health issues. Alleviating poverty for Native youth and their families through collaborative capacity building services that are specialized to address the unique needs of each Native community. Building cultural resilience through inter-generational programs that facilitate relationships between Native elders and youth to ensure that traditional knowledge and practices continue.